Here’s one I’d completely forgotten about. 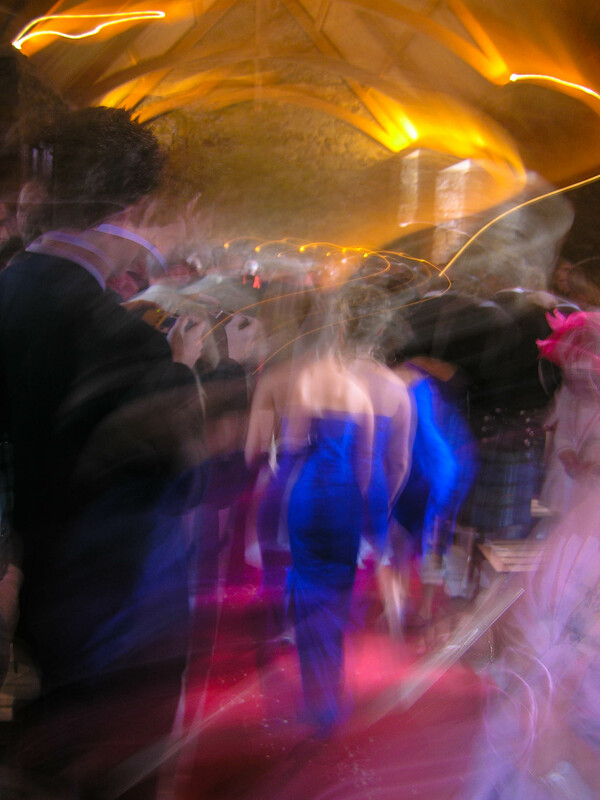 This was taken with a compact camera at my daughter’s wedding reception almost ten years ago. Technically, of course, it’s a shocker (the metadata tells me that the exposure was half a second). In mitigation, though, it was getting quite late by then and a fair amount of champagne had been consumed. Plus the composition – quite accidentally, of course – is quite pleasing. And it’s nothing if not vivid.